The Senior and Weekend (SAW) program aims to provide a welcoming and instructional once-a-week coached rowing opportunity for experienced and novice rowers of all ages that are in good physical condition. The rower should have a general understanding of sweep rowing technique and boat issues such as set, run and timing. 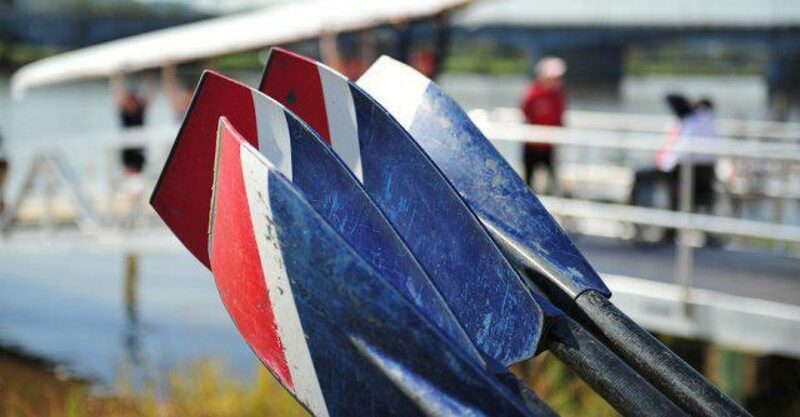 The SAW program welcomes Novice Sweep Learn to Row graduates and Intermediate/Novice Rowers (INR) to register for SAW and join our practices. Being a part of the SAW program means joining a team of rowers that participates in community and club events as well as regular practices. Contact membership@capitalrowing.org for information on rowing with the SAW program. Attendance to the SAW program once-a-week practices is relaxed; however, consistent participation is recommended and encouraged. Practices are held Sundays from 7:00 to 9:00 am, rain or shine. Practice may move to Saturday occasionally depending on events at the boathouse. Capital’s Senior and Weekend rowers participate in regattas depending on their interest in racing. Although competition isn’t the main focus of the program, those wanting to experience racing are well supported. Time handicaps are sometimes given based on age categories. The SAW Program is filled with a variety of people of all ages whose common bond is their interest in the sport of rowing and the desire to row in a relaxed but stimulating environment. SAW has a team page with information and important links.